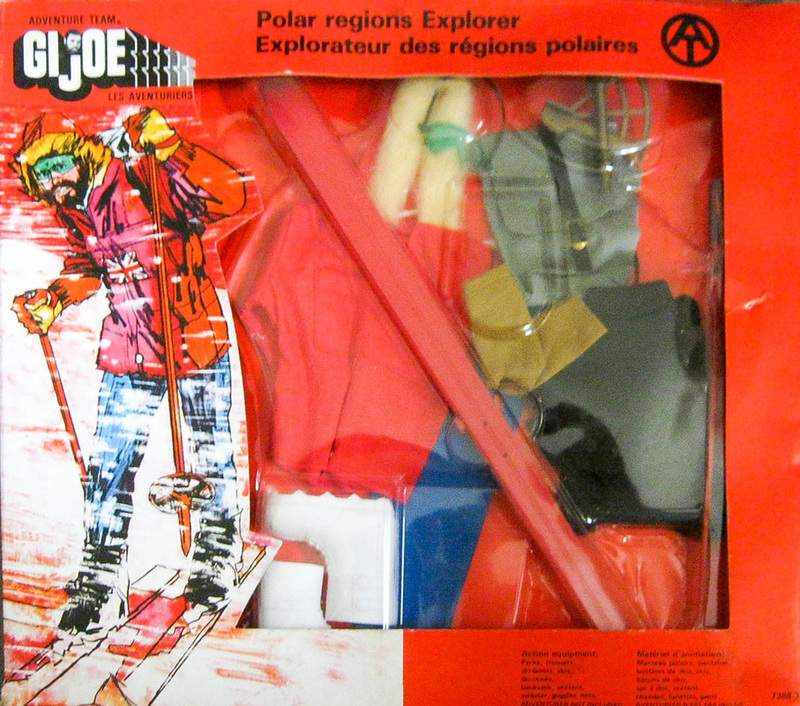 The Polar Regions Explorer (7368) was based on an Action Man set. The fur on the edge of the hood is slightly different from the German Action Team version of the set in that is longer and silkier where the German set has a shorter pile. Where the UK version has a a Union Jack on the front of the parka, the Canadian one comes plain, and is tagged with the Hasbro Hong Kong mark. Like Search for the Abominable Snowman, the skis just have rubber bands for the binding and the poles have a fat and stubby tip rather than the points of the 1960s Ski Patrol version. Note that the loose set above came with the older version white rimmed goggles. As the box below shows, it should probably have late issue rubber strap ones. The image of the boxed set was sent to me by a friend several years ago, and I'm sorry to say I don't remember who. If you're out there drop me a line so I can credit you here.